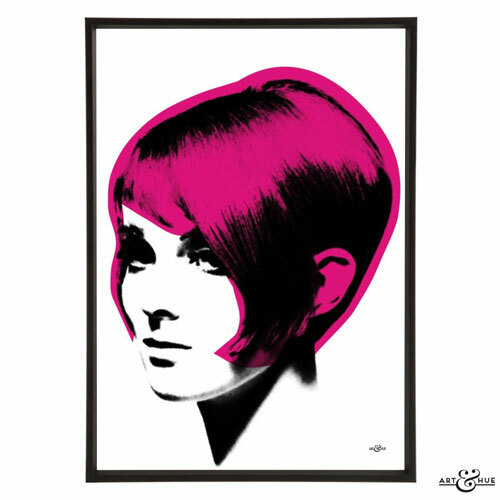 Not the first time we have mentioned the people behind these, we have also flagged up the equally impressive Carry On range, Audrey and of course, The Avengers artwork. 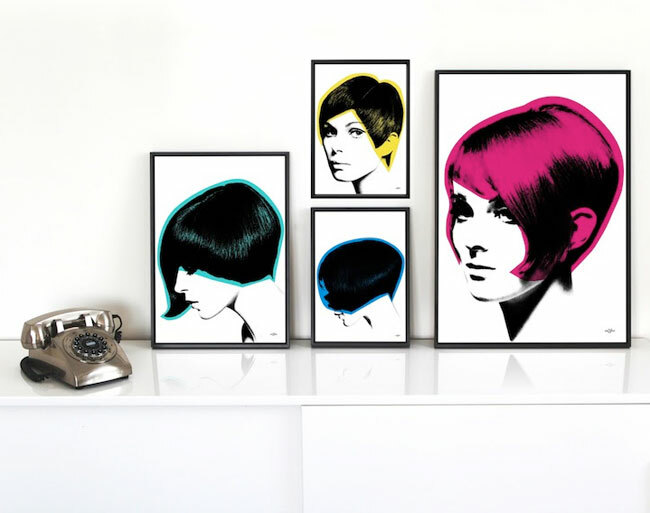 Now Art & Hue are back with the Mod Hair pop art collection. 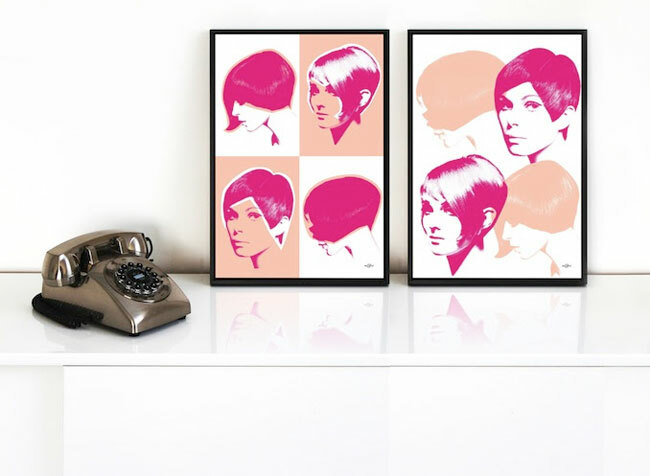 As you might have guessed, this is a collection of art inspired by the hair of the movers and shakers at the cutting edge (no pun intended) of the 1960s. 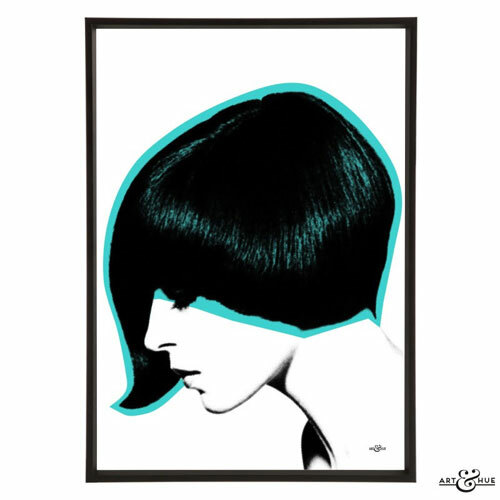 Essentially the sharp bobs, geometric crops and modernist cuts of the 1960s hairdressing revolution. 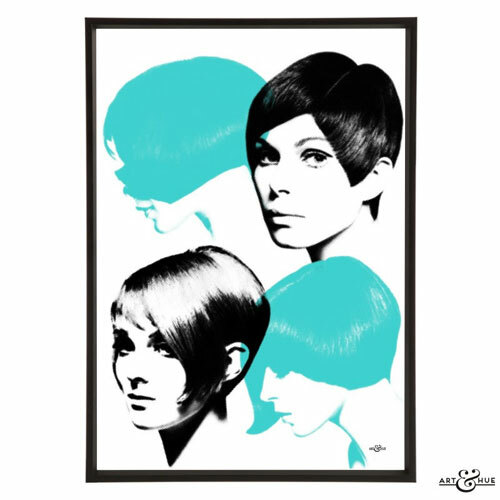 Think Mary Quant, Twiggy, Nancy Kwan, Peggy Moffitt, and Mia Farrow for example. 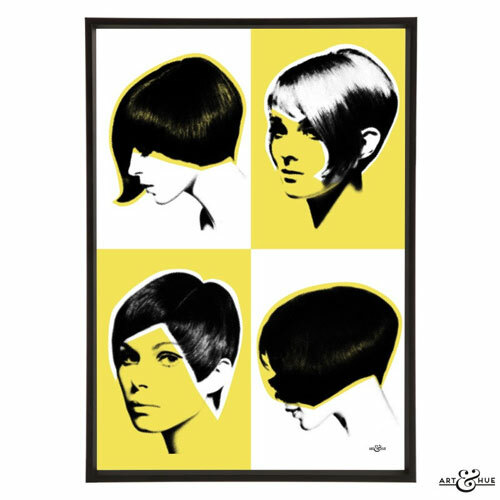 The images here use the photographs taken by Vic Singh of the sharp and minimalist hairstyles at the time, with this range of artwork being an official collaboration with Rex Shutterstock. 17 colour options to choose from, three sides and each printed on 310gsm fine art archival matte paper, made from 100% cotton. Check out the full range on the Art & Hue website, with prices starting at £15.